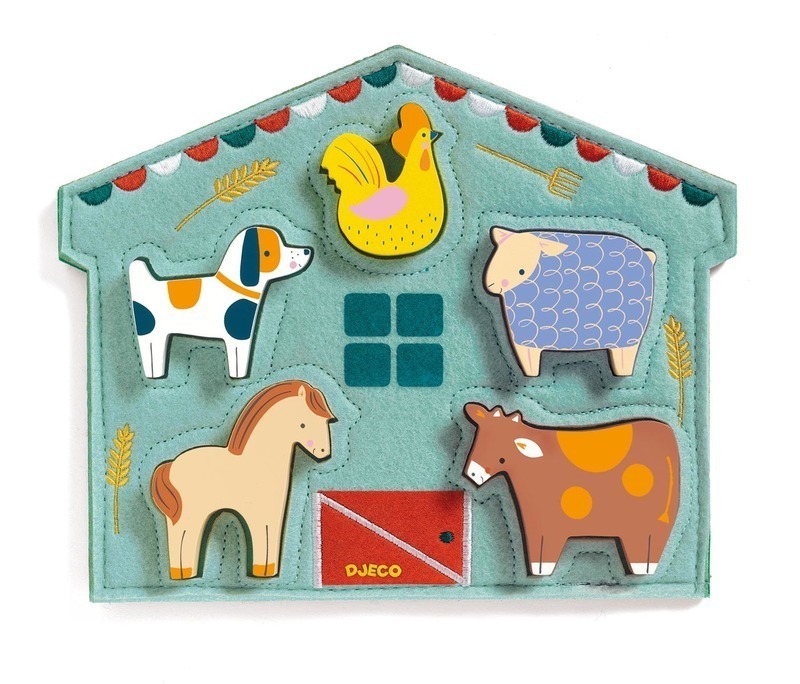 Five piece animal puzzle with tactile felt barn. 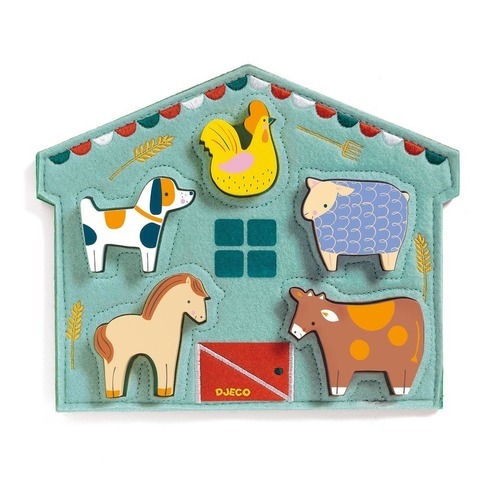 The five friendly wooden animal characters are looking for their home inside the barn. This puzzle combines textures, with wooden pieces and a felt board.